A Nigerian air force fighter jet on a mission against Boko Haram extremists mistakenly bombed a refugee camp on Tuesday, killing more than 100 refugees and aid workers, a Borno state official said. The state government official, who was helping to coordinate the evacuation of wounded from the remote area by helicopters, spoke to The Associated Press on condition of anonymity because he was not authorized to speak to reporters. 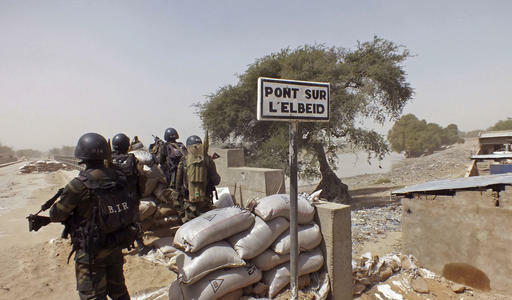 Military commander Maj. Gen. Lucky Irabor confirmed the accidental bombardment in northeast Rann, near the border with Cameroon, saying "some" civilians were killed. It was believed to be the first time Nigeria's military has admitted to making such a mistake. The International Committee for the Red Cross said six staff members and volunteers with the Nigerian Red Cross were among the dead and 13 were wounded. "They were part of a team that had brought in desperately needed food for over 25,000 displaced persons," spokesman Jason Straziuso said in a statement from Nairobi, Kenya. Two soldiers were also wounded as well as Nigerians working for Doctors Without Borders, Irabor said, without giving a precise figure. Doctors Without Borders said its team based in Rann had counted 50 bodies and treated 120 wounded. A statement from spokesman Etienne l'Hermitte in Geneva urged authorities to facilitate cross-border land and air evacuations. "Our medical and surgical teams in Cameroon and Chad are ready to treat wounded patients. We are in close contact with our teams, who are in shock following the event," the statement said. Irabor said he ordered the mission based on information that Boko Haram insurgents were gathering in the area, along with geographic coordinates. It was too early to say if a tactical error was made, he said. The general, who is the theater commander for counterinsurgency operations in northeast Nigeria, said the air force would not deliberately target civilians but there will be an investigation. Villagers in the past have reported some civilian casualties in near-daily bombardments in northeastern Nigeria. Some of the schoolgirls kidnapped by Boko Haram in 2014 and freed last year have said three of their classmates were killed by air force bombardments, according to the freed girls' parents. Of the nearly 300 schoolgirls who were abducted, 196 remain missing. The bombings have helped drive Boko Haram out of many towns and villages and, according to Nigeria's President Muhammadu Buhari, the insurgents' last stronghold in the Sambisa Forest last month. Boko Haram's 7-year-old Islamic uprising has killed more than 20,000 people and forced 2.6 million from their homes, creating the continent's worst humanitarian crisis, with the United Nations warning some 5.1 million people face starvation. Adigun reported from Abuja, Nigeria. AP writers Ismail Alfa Abdulrahim in Maiduguri and Michelle Faul in Johannesburg contributed to this report.